...................we are the symbolic processing layers"
We will look at the Computer Earth system 370 ...370 year evolution of a stage performance of the Margaret Mead nuclear family - atomic social anthropology. The atomic English language of the British LIVER is with iron hemoglobin protein messenger Margaret Thatcher. As the IRON LADY...the molecular cell biology government of Nature has ranked her liver ferrous oxide atomic data processor as a leading liver language messenger. Thus we have clearly identified the atomic English language of the 26 proton English atomic alphabet of Ferrous oxide /IRON.....and the IRON LADY is a Fe = Ferrous oxide atomic Fe = Female messenger for the periodic atomic table government. Her nuclear anthropology role is not recognized by universities...as they disregard the messages and expressions of NATURE's intellect. The other messages are the Beattle's LIVER music messages of Liverpool, England...with their Hemglobin iron proteins request for "HELP' thru the atomic mass ...mass communications media of the radio and television. Thus we have 2 types of atomic human adult species. At birth ...we all begin with an internal government and go to school to learn basic internal government symbolic languages: the usage of English words to ask for food, to ask for a house mortgage for shelter,etc. Most people only understand part of the external world; only that part necessary to get a technical job to get money to feed their internal government. A few older individuals with math books, science experience, intellectual effort, and wisdom may transcend this INTERNAL government STATE of MIND....and understand the larger gestalt of the EXTERNAL goverments of EARTH and NATURE...and the EARTH LAB role of human subset governments and institutions. Thus we have background clues ...and now describe the British liver language system VIA humanoid inerface agents. See the BLOGs about the IRON LADY and the 26 proton English alphabet of the ferrous oxide iron atom--> hence, atomic English langauge. Do you have the current version of English symbolic language map inside your LIVER and brain. NO? Pay attention please. 2) 2007 Malcolm MacGregor physics book: The Power of ALPHA (atomic Alphabets); and he announces that his LIVER has traveled because his California automoble license plate 70MeV ....is a significant subliminal mind SIGNAL in his book. Year 1726 becomes ...via the modern Livermore messenger MacGregor ..... 17 + 26. 26 atomic iron proton English alphabet(INTERNAL government); and then his book descibes the relationship to EXTERNAl iron governments via his emphasis on his 4-wheeled ferrous oxide SWIFT automobile and its 70MeV identifier. Thus we see the deep down, subliminal mind of his atomic liver.....and its sucessful attempt to have MacGregor provide explicit, external communication SIGNS.... regarding the bio-physics symbolism of Gulliver's Travels. The human liver LINK between year 1726 book GULLIVER and LIVER LABS in Livermore, California. The social engineering research project: LAW of LIVER is with LIVER CIA agent known as LIVER NORTH (Oliver North) who studied El Salvador Dali spanish art in the Central Nervous System 370 brain computer... symbolic country in the brain geography map region of symbolic Central America ...a parallel processing region to physical geography Central America. then Liver North implies Livermore Labs, North America. They have yet ... to help clarify this aspect of Grand Unified THeory physics life. S.I. Hayakawa in the book " Language in Thought and ACTION' and book "Symbols, Status, and Personality" stresses the difference between these many different levels of brain maps...symbolism and physical reality,etc. Hollywood invented nonsense can confuse the modern lazy intellectual (as it did me for many years); thus the LIVER engineer's near Hollywood, California won't communicate with folk like myself. But some LIVER questions remain....best answered by the theorists, engineers, and researchers at the LAW of LIVER social engineering LABS in Livermore, California, USA. - Is MacGregor familiar with the existence of Beattle music and their LIverpool origin...... that is LIVER bio-computer buffer pool data records.? - Does LIVERMORE Labs have a cafeteria.....and are LIVER sandwiches sometimes on the menu? How about LIVER and onions with mashed potatoes? Process of manufacturing liver sausage. ....TOES = Time Order Entry Systems for EARTH LAB life..
....TOE Symbol of the..... Theory of Everything including poto.TOES, the potato parallel football with atomic BOTANY agents Washington Redskins, etc. Lawrence Livermore Labs atomic analysis of Norwegian Cod Liver - - - - - - -> Code Livermore project.. . . Norway violations of the salt treaty of salted cod fish results in Utoeya tragedy. European violations of the periodic atomic table government SALT Treaty with 2-legged humans is a major factor in the particle physics anthropology war. The Niels Bohr Institute and the modern European theater of war ....Margaret Mead nuclear family war. UTOEYA ...known in SIGNAL PROCESSING as a ROC = Region Of Convergence. We have the Margaret Mead cell nuclear arms, elbows, mouth control SUMMIT treaty; also, known as the dinner table SALT TREATY with the periodic atomic table government elements of life. The SALT treaty involves NaCl = sodium chloride and the presidential atomic human MR.NaCl whose became North american Clinton. The sodium chloride treaty is with atomic human structures who use SALT. Thus we have the Margaret Mead atomic anthropology war over SALT treaty violations by civilian populations .....atomic humans who have no respect for the treaties signed with NATURE. American universities deny the atomic bio-physics NATURE of President Clinton from Arkansas. the social education system of ploys/ scams/ schemes/puzzzles. EM television nonsense shows provide many clues as to this educational process..... used for social manipulation and business marketing. Math, physics, biochemsitry, etc are still serious subjects and help understand the social science ploy --> song and dance programs for the human brain computer. 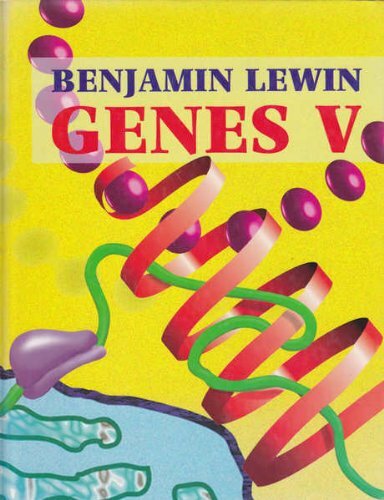 Hollywood movies like those by GENE Hackman explain the social gene commands ....along wiith the GENES textbook by Benjamin Lewin. Gene at a book signing, in June 2008. Synopsis: This title offers an integrated account of the structure and function of genes in both prokaryotic and eukaryotic organisms. Provides the most current and comprehensive information available in genetics. Incorporates the latest news in the field and presents topics in terms of the approaches used by researchers, integrating information from molecular biology, cell biology, development, and cancer research. - Monica Lewin (sky) clinical research trial with President Clinton on social genes....such as Gene Audrey cowboy movies, Gene Kelly dancer, Gene Hackman ...etc. These audio/ voice/picture genetic commands are broadcast via movies/television to millions of people ......thus input gene symbolic commands to the Central Nervous System via optical data entry for the EYES computer processor OR sound data entry for the EAR input data port. Thus The UTOEYA children and their GENE structure was hacked / destroyed by bullets. Great Britain and the British embassy are familiar with this public knowledge. Norway and Denmark and America won't help understand anything. Europeans have superior knowledege over NATURE's vast intellect. America includes those lazy thinkers with their Hollywood surface answers that lack deeper data foundations. Thus we study the symbolic wars in the internal BIOLOGY government of the human being. The human is perceived as comprised of 2 parts......in their internal structure. 2nd ...the internal government symbolic expressions and messages. The internal governemnt uses the atomic English language of the 26 protons of ferrous oxide atom...and its 26 atomic English alphabet letters. Thus iron Hemoglobin protein humanoid structures at Livermore and FermiLAB provide data on how to manipulate this atomic symbolic language .....for better and for worse (Utoeya, Cole Hall, Virginia TECH). This gives lawyers the oppoprtunity to understand those atomic anthropology crimes and those atomic accidents that may occur in our daily life. Research labs and government funded universities do not attempt to discuss this SECRET of life. These groups have violated the atomic social anthropology laws of NATURE ...specifically, the required communication disclosure and communication cooperation laws of NATURE.....that would have exempted them from severe penalties. Nature's social engineering systems needs help to understand, clarify and fix the problems that arise. Universities have declined to help NATURE in the SCIENCE WARS. Thus universities and other institutions have lost their immunity to lawsuits, accessories to murder, criminal conspiracry, pre-mediated schemes,etc. Thus ...who is the director ? what role/ reponsibility does the director have? We can see that universities, citizen communities, and other institutions contribute to the director ROLE ........of a city, a family, and the events within it....both good and bad. Let's look at the INTERNAL BIOLOGY government and its message OUTPUT system.....which may be words/books or some stupid, avoidable accident or some serious crime. These external EVENTS usually have an internal origin ......and some of them provide CLUES and VIEWS of the structural relationship between Nature and society, etc. ....liver .....an internal entity and its perceptions of the external world. The author Jonathan Swift.....understood his LIVER's thoughts and routed the messages to his brain computer for conversion to English language symbols and message formatting.....and then such symbols were routed to his arm/hand (a bio-computer output device) ...and the LIVER report was written ......to be used by future generations of scientists and business people. The influence of LIVER thoughts is so great in the world.....that Jonathan SWIFT thru Darwinian evoution of symbolic life ....became SWIFT FOODS .....and then, Swift LIVER Sausage. .....the sage/wisdom of LIVER then led to the founding of Lawrence Livermore Labs in California. Then came the evolution of LIVER messengers (with the SWIFT iron vehicle 70Mev) with the LIVER author from Livermore: Malcolm H. MacGregor and the book --> The Power of Alpha (atomic alphabets). Then came the next generation of LIVER......the CIA LIVER agent known as O.LIVER NORTH and his role in Central Nervous System 370 data processing system affairs with El Salvador Dali the Spanish artist of Spanned data records. The CONTRA --> secret word for math logic, brain engineering, and social engineering CONTRADITIONS and ERRORS. ........." The WORLD is a stage and we are the players". Thus we see the role of SALT COD fish in modern world affairs...especially atomic human anthropology laws of the Margaret Mead nuclear family. Thus the UTOEYA anthropology war over EUROPEAN errors in perception of the SALT treaty ....and consequentently policy errors. A well-known phrase "You are what you eat". Thus if one only ate the vegetable spinach ...then such human could be perceived as an extension of spinach........and would probably enjoy reading the correlation to Spinoza philosophy...........which is electron spin philosophy thoughts from year 1670 from his atomic brain. Hence, SPINOZA's brain electrons expressed their philosophy. Today, physics professors write about electron SPIN .......just a different version of SPINOZA. Thus we see the secret, ancient computer programming world of Norway and the BAL region countries of the BALTIC SEA. BAL = Basic Assembler Language..which has existed for hundreds of years and since 1955/1960 .....has been available in copper wire computers systems. Thus the input of Norwegian cod fish into the human bio-computer input device/ data entry ... MOUTH. Thus we have Base 16 hexdecimal HEX'FO" = 240 as in word FOOD. Thus food has 2 components.....its physical aspect and its symbolic Base 16 hexadecimal values......which correlations to the mouth COBOL computer language word of 32 teeth. . Thus eating Norwegian cod fish is REALLY stating ... more scientifically ..
Noregian code fish is input data entry into the input device = mouth. Thus ...we see that IBM engineers of 1960/1970 ...as young men in 194O/1945 were given cod liver oil by their mothers......under the pretext ..under the auspices that it was GOOD ......but we all know what it tastes like. Thus our mothers .....were part of a subliminal mind secret project.......really a secret project to create a new technology ..
the goods and oils American business such as IBM Watson (parallel to DNA Watson) Thus the 1955/1960 double-helix / supersymmetry of atomic business affairs. Lutefisk is made from dried whitefish (normally cod in Norway, but ling is .. This natural method has been used for centuries, and Norwegian stockfish is still considered . Save on Cod(e) Liver Norwegian. and the BAL region ......Baltic region COMPUTER EARTH. Thus we see a BIG Picture emerging. We have SALT treaty (sodium chloride = NaCl) SIGNALS. Some SIGNALS are direct and other SIGNALS are indirect. In all cases the SIGNALS are ignored by a billion educated people and their universities and governments. ..norway ignores any attempt at deep, complex understanding of life. skull of former Prime Minister Margaret (MEAD) Thatcher's. Atomic brain computer HEAD HUNTER subroutines eat her bio-computer memory ......as London, Paris, Copenhagen, and OSLO ..and their subliminal mind laugh over the SCIENCE WARS and atomic brain torture tricks. The secrets as revealed by Carl Jung, Maslow, Eric Berne, and many other serious authors. What are some of the messages? Let us see. Tycho Brahe - Danish Father of Modern Astronomyspace.about. Tycho Brahe received the island Hven from king Fredrik II. ..
....cho --> MR.CHO at Virginia TECH university....modern astronomy for English professors ....who are high in sky ...the sky attitute of social sciences and newspaper editors and writers....in their superior VIEW and UNDERSTANDING of all news events and business events. Since universities have not helped study the SCIENCE WARS the tragedies continue. None have cared to help with intellectual assitance or resources; the atomic anthropology tragedies in America were dismissed by OS = Office of Science funded institutions. Now we have OS in OSLO ......and their European friends will not help......in a more accurate explanation of the gestalt SIGNAL. Thus we see the astronomy structure of space/time on EARTH LAB. Galileo in year 1616 .....initiated the COMPUTER EARTH long-term project to format Earth existential space/time into base 16 SPACE and Base 16 TIME. Einstein correctly predicted the project was near completion...FIELD Theory.....better known as Einstein's data processing DATA FIELD theory. Many,many major universities have an inability to understand simple versions of DATA FIELD theory and its applications. Presently, universities deny the existence of FIELD THEORY and its evolution. Regardless of their incomplete perceptions, Base 2 and Base 16 exists.....and sent a SIGNAL via the UTOEYA event. In addition we have DR.NO = Nitrogen 14 and Oxygen 16 .... atoms in the LUNG .....a message for atomic human agents of O = Oxygen life form in OSLO. Such humans ought condsider polite, civilized diplomatic communications regarding the Utoya SCIENCE WAR anthropology casualties ...and the Signal Processing feedback signals that seem to exist and have significance. A "red tide" off the coast of La Jolla, San Diego, California. Another atomic/astrophysics continuum ...symmetry message about daily existence ....for theoretical physics and their hypnosis state of mind. SIGNALs from NATURE .....important data? Thus the Cole Hall oceanographic institute at Northern Illinois University....and their shooting test ....with the blood brain barrier .....HOLE (bullet hole) PIERCE ..Cole Hall arrogant brains. Thus Darwinian evolution exists in new dimensions, new formats of expression ...with the RED TIDE at Utoya and Cole Hall. Of course, more analysis is needed by some heavyweight thinkers ...if they can be distracted by reasearch funds ....funds that point in the VIKING vector area of social engineering phenomena. Base 16 gives us the HEX'FO' = 240 FOOD wars . Thus Norway ought be aware to these concepts.....in their attempt to use the food system and their COD Fish .....as CODE fish input to the human bio-computer system. The WORLD is more complicated ...then the European biased explanation of history and world affairs. Universities ought upgrade their brain cells wiht more accurate symbolic knowledge...instead of taking Virginia TECH creative writing classes in English to write incomplete explanations of the shooting.......omitting ther symbolism ......omitting the relationship to the Depart(ment) of En agents (FermiLAB / Livermore LABS) and the atomic English language ERROR WAR. Did Norwegian-Americans speak up and help clarify the issues. NO as in NORWAY. But they are not alone, everyone else is busy watching sports or talking on cellular phones ...they can't be bothered. And now UTOEYA, and Great Britain universities are silent. A summary of Chapter 11: Who Stole the Tarts? Thus the more complete UTOEYA story was suppressed by the newspapers ...as desired by the CITIZENS of EUROPE. Pier Oddone and his staff from FermiLAB can help explain how the Margaret Mead nuclear family ....atomic anthropology system works in theory ...we have applications EVENT data. Thus ...between William Shakespeare and Lewis Carroll...we may learn the the details of 400 years of events ......and the TALE of 2 CITIES......newpaper reporters with university approval only write about 1 city and omit the other 50 percent of the facts.......more deeper, subtle, indirect facts about CAUSE --> EFFECT processes in society. ..."The WORLD is a stage at Utoyia.....and the children are playing dead". Unfortunately....Europe likes to deceive the parents of the true NATURE of this event ...and its relationship to other intellectual tragedies. The CITIZENS of Norway....could start their own group and support research into the SCIENCE WARS. They can bypass the universities and the government ........and help the more serious researchers. Even professors are welcome to deviate from the university policy of nothingness. Thus we have Sartre and others...and the "Being and Nothingness" philosophy department dilemma. Be a human BEING and understand some of the above concepts OR be intellectually nothing. A college library, its science sections and its college textbooks can be useful references. With will, determination, effort and curosity and an 8 1/2 X 11 pad of paper to take notes,etc. .....you can follow in the tradition of Sherlock Holmes and Dr.Watson. In modern times,"The WORLD is an atomic bio-physics stage and we are the symbolic processing layers"
We will look at the evolution of a stage performance of the Margaret Mead atomic nuclear family - atomic social anthropology. Theatomic English language of the British LIVER is with iron hemoglobin protein messenger Margaret Thatcher. As the IRON LADY...the molecular cell biology government of Nature has ranked her liver ferrous oxide atomic data processor as a leading liver language messenger. Thus we have clearly identified the atomic English language of the 26 proton English atomic alphabet of Ferrous oxide /IRON. The atomic English language is not recognized by the social sciences....they use some fabricated language of their own making. Their language explains parts of reality; but many explanations are incomplete. Given the availabilty of knowledge in year 2011...they continue to promote the errors within their LANGUAGE structure with an arrogant policy. However, Nature is not interested in biased explanations of EVENTS; hence, Nature has proceeded without them...as they lag behind in the SCIENCE WARS. Thus we have background clues ...and now describe the British liver language system VIA humanoid inerface agents. the Jonathan Swift book "Gulliver's Travels". The book described the year 1726 biochemistry government long-term LIVER project plan to have future scientists bio-physics LIVERS TRAVEL to / converge at a world LIVER conference site......which is the well-known secret of Livermore, California. 2) 2007 Malcolm MacGregor physics book: The Power of ALPHA(atomic Alphabets); and he announces that his LIVER has traveled because his California automoble license plate 70MeV ....is a significant subliminal mind SIGNAL in his book. Year 1726 becomes ...via the modern Livermore messenger MacGregor ..... 17 + 26. 26 atomic iron proton English alphabet(INTERNAL government); and then his book descibes the relationship to EXTERNAl iron governments via his emphasis on his 4-wheeled ferrous oxideSWIFT automobile and its 70MeV identifier. Thus we see the deep down, subliminal mind of his atomic liver.....and its sucessful attempt to have MacGregor provide explicit, external communication SIGNS....regarding the bio-physics symbolism of Gulliver's Travels. S.I. Hayakawa in the book " Language in Thought and ACTION' and book "Symbols, Status, and Personality" stresses the difference between these many differnt levels of brain maps...symbolism and physical reality,etc. Hollywood invented nonsense can confuse the modern lazy intellectual (as it did me for many years); thus the LIVER engineer's near Hollywood, California won't communicate with folk like myself. - How many LIVERMORE Labs people are familiar with the existence of Beattle music and their LIverpool origin? --> California with the LIVER of Livermore and the data records of swimming POOL homeowners .....California life style. Now think of EARTH ...as a living EARTH cell. From as astrophysics point of view...EARTH would appear as a living organism (large in size compared to the traditional concept of biology lab with a microscope). Given this, let the large geography surface area of LIVERMORE ...be perceived as an equivalent to the internal surface area inside a human biological liver. In Sartre existential theory, math functions could MAP ..say.... from the LIVER math domain inside MacGregor to the EXTERNAL math range..this being the city of Livermore and the geography area. How could Malcom H. MacGregor and his atomic LIVER do this ......establish this parallel processing. to be explained someday. Meanwhile, Macgregor and his IRON Vehicle /automobile (symbolic of Hemoglobin iron) drives around LIVERMORE and California...... establishing a relationship between the external world of higway signs, city names.....and his previously un-labeled, un-named, un-mapped INTERNAL Liver. After years of working at LIVERMORE ....his LIVER now learns a symbolic map that somewhat parallels the EXTERNAL geography world and its English language ROAD MAP signs. Livermore, CA to Santa Cruz, CA driving direction, best route map. Of course, he is just the latest version of the molecular cell social biology ....evolutionary process ...that started in year 1726 with Gulliver's travels. Thus his LIVERMORE research had the hidden dimension of helping understand the Carl Jung collective unconsciousness of the LIVER people......a situation in Nature that needed more precise empirical data and explanatory models. ..ATOM..MAP.....such as used above by the mapping function. ..trophy wives...is their alternate astrophysics SIGNALING method. The Wall Street Journal newspaper ...many years ago..
really an article on astrophysics finanacial systems ...hidden in everyday social language. BLACK Holes and Time Warps" and other authors. with the modern Hawthorne...astrophysics double-helix undercover agents: Haw + Thorne. Hawaii + Thorne at Caltech.....thus we have the salt water of the Pacific Ocean and 2 land locations: Hawaii Islands....salt water..... California and CALTECH ...thus we see the structure of the SALT BRIDGE as descibed in most astrophysics.... college freshman chemistry textbooks. like Einstein's theory of special atomic anthroplogy relatives of relativity. hence, the secret Carl Jung identifier...warrior CHIEF Black Hawk. The astrophysics component of the SCIENCE WARS have existed since 1990. I just caught on around year 2009. Be a later comer like me. Thru effort ..you can catch up .....your have a role in the SCIENCE WAR project: The Recapture of Earth. L. Ron Hubbard wrote about "Battlefield Earth". His message is very true; I use more accurate language with real-life examples.